There are three limited edition custom printed golf discs available for this year’s Two Heads Open presented by Discology. All the discs are $20 each and these sales go towards supporting the tournament and funding a number of upgrades on the course. The design is the same on all three discs – featuring Sandy Eaglebird in glorious full colour. The closing date for ordering and purchasing any of these three discs is 16th February. After this date there is no guarantee these discs will still be available. To purchase any of these discs go to the events section of the Discology online shop. 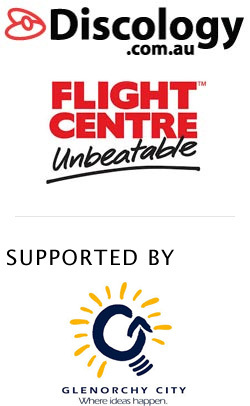 Credit card and bank transfer payments accepted. Anyone who registers and pays for a Two Heads full tournament package BEFORE 16th February will receive a Latitude 64 Fuse Gold Line as part of their player pack. Come on people, register now and let’s start filling up the registered players list. Everyone who registers and pays their entry fee in advance is automatically entered into a free draw to win a disc of their choice from tournament sponsor Discology. 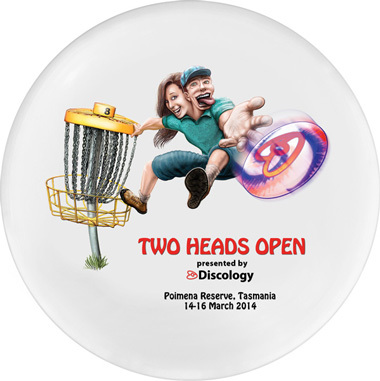 Also, any player who purchases a full 2-day tournament package before 16th February gets a limited edition 2014 Two Heads Open souvenir golf disc in their players pack. Posted in Uncategorized on January 3, 2014 by admin.